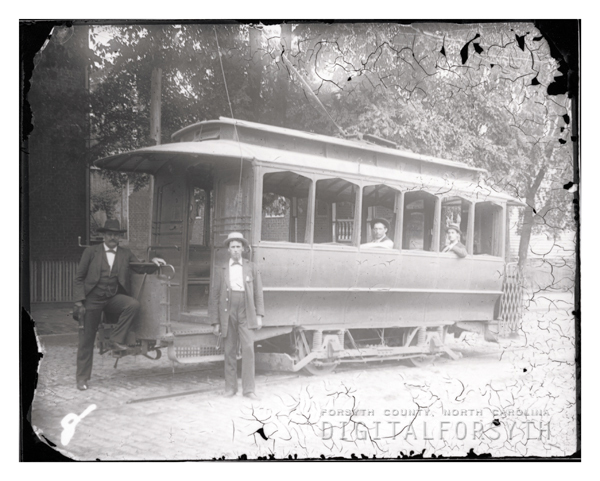 This photograph of a street car with four unidentified men was taken after the installation of Winston-Salem’s electric street railway in 1890. This photograph of a street car with four unidentified men was taken after the installation of Winston-Salem's electric street railway in 1890. "Street Car -- Pratt and Miller"